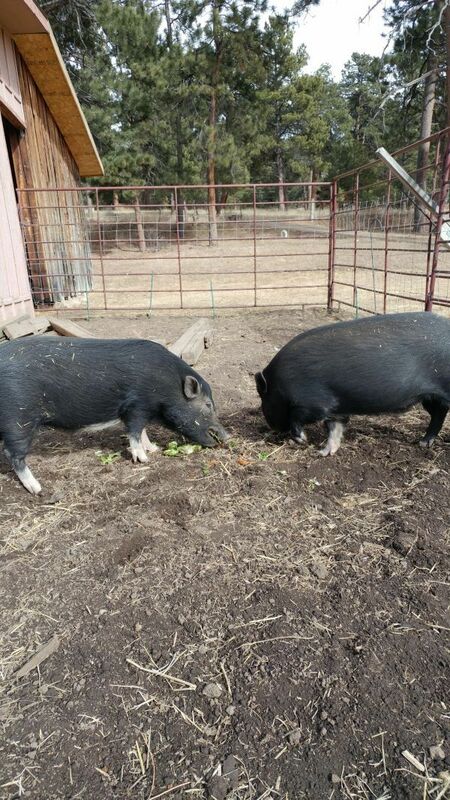 Due to an unexpected move out of state, I am having to part ways with my 2 male, neutered pot bellied pigs. They are 1.5 yrs. old, calm, know a few tricks, and absolutely love belly rubs!! They live outside, which is why I have 2, they snuggle together to stay warm. They will follow you around the yard but we don't do that too often as we live right on a road and everyone drives like it's a drag strip. They can adapt to stay in the house, they are super intelligent and only potty in one spot outside. Paid $120 each, plus neutering and deworming fees of over $100 each. Asking $200 for both.